In MANHATTAN 1930: THE MAN IN THE WHITE SUIT Part Three: HARLEM, private investigator, Song (aka as The Man In The White Suit), must find the killer of his partner, Ace Pilot, before police detective Davis and his colleagues charge him with his cold, calculated murder. Song’s former secretary and now partner, Secret, is back at headquarters and is fearful when Song disappears off the radar without so much of a phone call. Unfortunately, Song has his hands full with siren mask, Scarlet Rose, who has stolen an object from the great Beast himself, Aleister Crowley. His only way to seek justice and save his own skin is to do business with the wickedest man in the World in exchange for the killer. 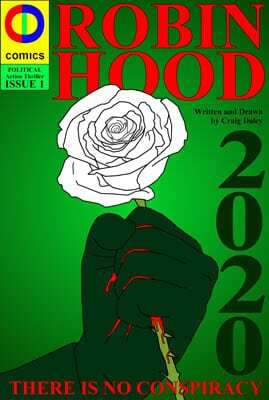 Craig Daley, sole illustrator, author and creator of Manhattan 1930: The Man In The White Suit has carefully wrapped up his masked hero tale in an exciting, gripping parcel, delivering a solid punch on each level. With an eye for detail and an imagination to die for, Daley strikes me as a true storyteller who thrives on murder mysteries, especially those that keep you guessing right up until the nth minute. Having read some of his previous efforts, I feel Manhattan is where Daley really feels comfortable. I may be wrong, but I certainly know as a reader that Manhattan 1930 is the series that Daley has come into his own. The level of detail in Daley’s story and environments, along with his fascinating backstories and character arcs, have been stitched together so precisely with a passion that can be admired during and long after finishing reading the comic. What does strike me when reading CD Comics, Manhattan 1930 in particular, is the angles that Daley chooses for his scenes. Rather than using straightforward angles, Daley experiments with eye-catching shots that wouldn’t look out of place in a movie storyboard. As predominantly a film critic, I love this visualisation Daley has used and I seem to invest more in the story as if it was playing out like a film. Indeed The Man In The White Suit could be adapted into a movie, as there’s so much to sink your teeth into that I found myself questioning how one person could possibly forward plan such a complex web of intrigue, culture and drama without tying themself up in knots. 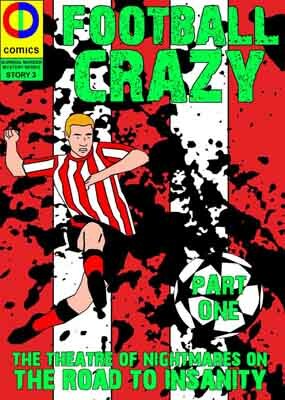 Who knows, but one thing I do know is that Craig Daley is an undiscovered gem of Sheffield. Not only does he seem to completely have a grasp of fact (using Nikola Tesla and Aleister Crowley in his stories) whilst blending it with fiction, but he can successfully craft a complete engrossing story that will you have you itching for more. Craig Daley might have completed his three part tale of The Man in the White Suit but he has left the story with an inviting cliffhanger, teasing us with potential further stories involving our favourite suited P.I and his emotion-sensing partner in crime, Secret. Fingers crossed that Manhattan 1930 sells well and there’s more yet to come. 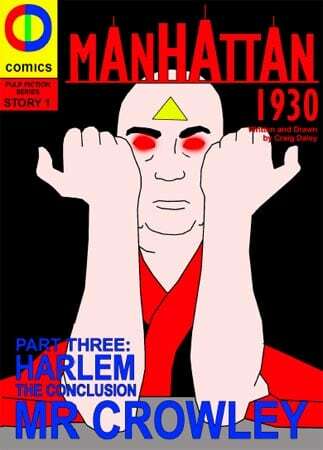 If you’d like to take a trip into Craig’s colourful and bustling world, you can do so at the following merchants, where Manhattan 1930 is available to download in three parts, priced around $0.99/80pUK each.